The Hawkeye Wrestling Club squad will return to action this month with eight athletes taking to mat across the globe. The HWC is currently comprised of six active men’s freestyle wrestlers, and five women. Currently both the men and women’s wrestlers are training at their respective Team USA camps with the men in Colorado Springs and the women in Puerto Rico. Of the 11 HWC competitors, eight will take the mat next week with half registered to compete at the Dave Schultz Memorial and the other half of the team will head overseas to compete at the Ivan Yariguin in Krasnoyarsk, Russia. Competing at the Dave Schultz Memorial will be n Sorensen, Nodir Safarov, and Nick Dardanes for the men and Lauren Louive for the women. The event will take place January 23rd-26th in Colorado Springs, which means Sorensen, Safarov, and Dardanes won’t need to travel very far. Of this group Sorensen has been in action most recently, competing at AWL I: The Beginning, which was the professional event that took place in Cedar Rapids this past November. Sorensen fell to World Medalist James Green in the opening bout of this event. 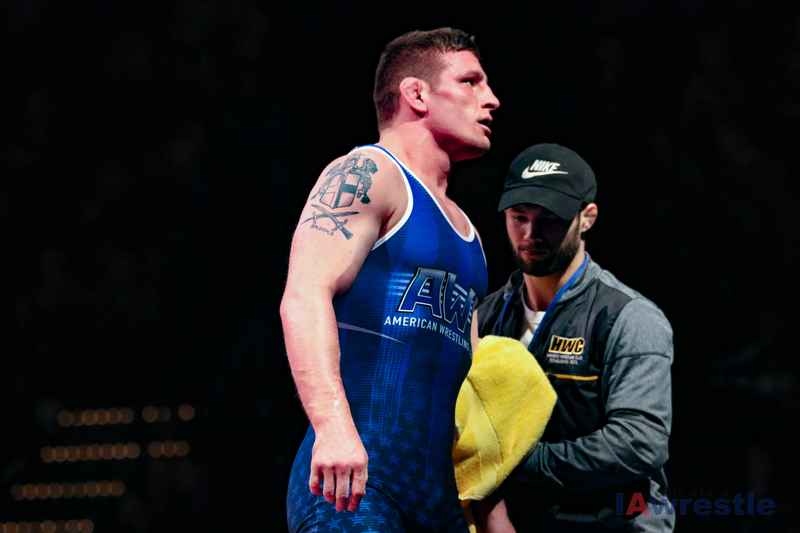 The remaining four wrestlers will be headed to Russia for what is arguably considered the toughest tournament in the World, the Ivan Yariguin. Thomas Gilman, Cory Clark, Sammy Brooks, and Forrest Molinari will compete January 24th-27th. It should also be noted that this tournament is a ranking series event for United World Wrestling, which means success at this event will be beneficial for any wrestler that earns their way on to the World Team for the 2019 World Championships. Wrestlers who place in the top five will earn seeding points if they compete at the World Championships. Clark is the only HWC who returns from last year’s squad that competed at this event. A year ago he finished ninth at 61 kg. Several HWC members will have a quick turnaround following their event next week with Clark, Brooks, and Sorensen all slated to compete the next weekend at the Grand Prix De France in Nice, France. Women’s wrestler Michaela Beck will make her 2019 debut at the Grand Prix De France. Women’s wrestlers Alli Ragan and Kayla Miracle are currently sidelined due to injury, though HWC coach Mark Perry indicated they are ahead of schedule in their recovery.